The second edition of Hitec Dubai 2018, the Middle East’s largest hospitality technology exhibition and conference, recorded more than double the number of attendees along with debut of many new prominent exhibitors. Endorsed by Dubai Tourism and co-produced by Hospitality Financial and Technology Professionals (HFTP) and Naseba, the show brought together top industry experts to present ground-breaking regional and international case studies, thought-provoking panel discussions and game-changing technology demonstrations. 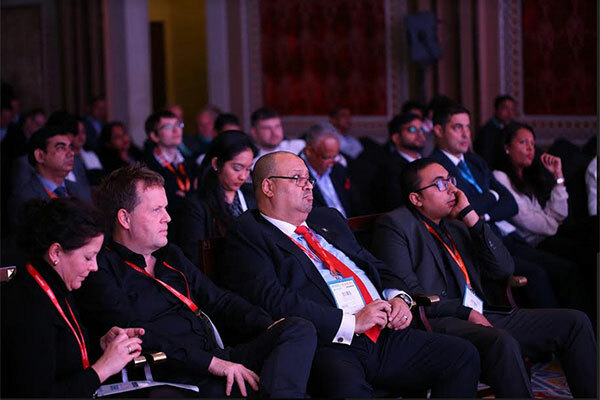 The two-day expo and conference were held at the Madinat Jumeirah Dubai from 5-6 December with an aim to facilitate knowledge sharing, networking and deal flow amongst hoteliers and hospitality technology providers. This year’s edition showcased the latest trends and innovations emerging at the local, regional and global level. For the first time in Dubai, HFTP’s expanding Entrepreneur20X (E20X) competition was introduced to give a unique opportunity for startups to present their breakthrough business concepts to the industry. Taking centre-stage at the show was Promobot, an intelligent humanoid robot. The show conference featured many extraordinary presentations such as Expo 2020 Hotel of the Future by Emaar and the World’s Largest IoT Deployment in Hospitality by Nytec.